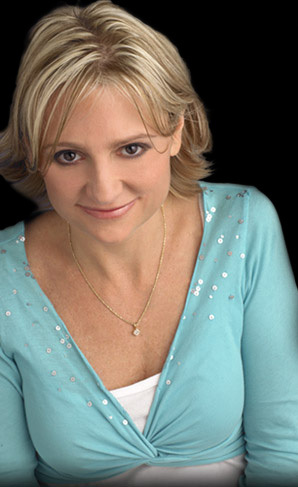 Jennifer C. Harman-Traniello (born November 29, 1964, in Reno, Nevada) is an American professional poker player. She is married to poker player Marco Traniello. Harman was born and raised in Reno, Nevada. She started playing poker in 1972 at the age of eight. She later graduated from the University of Nevada, Reno. Harman won her first World Series of Poker bracelet in 2000 at the prestigious No Limit Deuce to Seven Lowball Event (at a final table that also included Lyle Berman and Steve Zolotow). She had never played that game prior to the event, but received a five-minute tutoring session from Howard Lederer before playing. She won her second WSOP bracelet in 2002 at the $5K Limit Hold 'em event (the field also included Mimi Tran, Humberto Brenes, and Allen Cunningham). She is the only woman to hold two bracelets in WSOP open events. Harman's initial decision to play poker professionally estranged her from her father. After years of little to no contact, they reconciled their differences. In 2004, Harman took a year away from poker to have her second kidney transplant. Problems with her kidneys – shared by her sister and mother, who died from the same illness when Harman was 17 - had plagued her since her childhood. Since her return to the poker tournament circuit, Harman has finished 4th at the World Poker Tour Five-Diamond World Poker Classic, 5th in the inaugural Professional Poker Tour event, and 2nd in the WSOP Circuit Championship Event at the Rio. Harman authored the limit hold'em chapter for Super System II. 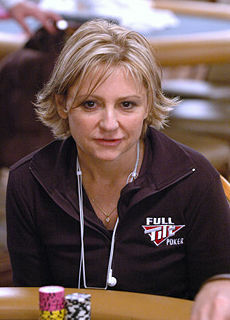 Harman is the only woman who is a regular player in the "Big Game", the high-stakes cash game at the Bellagio. She was also an active participant in "The Corporation", a group of high stakes poker players who played Andy Beal for limits of up to $100,000-$200,000. Harman is married to stylist Marco Traniello, who since became a professional poker player as well. They have twin boys. She is also very close friends with fellow player Daniel Negreanu. Harman has appeared on the GSN series High Stakes Poker and on the NBC series Poker After Dark, where she won Week 8's tournament. In 2007, Harman finished as runner up in the inaugural World Series of Poker Europe. She lost in the HORSE event to Thomas Bihl. Harman is a member of "Team Full Tilt" at Full Tilt Poker. As of 2014, her total live tournament winnings exceed $2,700,000. $998,801 of her total winnings have come from cashes at the WSOP.